Americans spend a lot of time in their cars, especially those of us who have long commutes or who have to deal with city traffic. Increasingly people become victims to tragedy in their cars. This could come in the form of being subjected to a car-jacking or getting stuck on a major road during a winter storm and freezing to death. That’s why you need to be prepared for a possible car survival situation. Most people assume because they’re on a paved road in their car they’re impervious to disaster. Imagine what might happen if a disaster hit and you hit the road to flee. What happens when you get stuck in traffic for 3 days? What happens when people start freaking out around you? Do you know what you’d do or how you can prepare for situations like this? Truth is these situations will present themselves at a moment’s notice so it’s what you do beforehand that’ll help you survive them with little trouble. That’s why I’ve outlined the 6 steps you should take to help survive a potential car survival situation. If you’re like the majority of Americans you might be the kind of person who waits until your gas tank is close to empty before filling. This is a definite no-no. Even worse is letting the tank go empty and then only filling it with a few gallons till you run empty again. The best way to fill your gas tank is to fill it full and fill it often. Imagine you’re driving during a winter night and all of the sudden you get socked in by a major snowstorm. There’s no telling how long it might be before you’re able to receive emergency help and at that point the only thing that’s going to provide you with a reliable source of heat is your car’s heater. While I’ll cover what exactly to do in this situation in another post, the truth is a full gas tank extends your car’s ability to generate heat for days. Another reason to have close to a full tank of gas is if you ever need to get out of dodge you can just go. No need to stop at a gas station, like everyone else will be doing, as you’ll be able to cruise for hundreds of miles before a fill up. If you’ve got the ability a Jerry can of gas attached to your car is also a good idea. 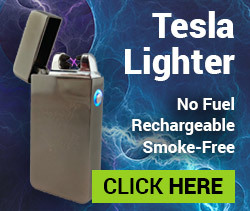 But be careful that it’s attached firmly to your car as gas in a crisis will be a valuable commodity and could be taken from you. 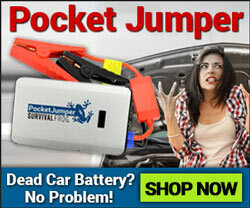 Cars are a great survival utility because they’re mobile, enclosed, and also have the ability to tow survival gear. That’s also a problem in a survival situation. If you decide to strap additional survival items to your car then you’re inviting people to target you and rip you off. It’s just a simple fact. People resort to thievery and violence in crisis situations and if they see you’re well prepared you could become a victim. There are several things you can do to prevent this from happening. The first thing I recommend is to keep your gear covered. You can do this with a tarp, or you can use storage boxes that lock. The idea here is to ensure people can’t see what you’re carrying. As far as they know if your items are covered you might be carrying a stroller and sports equipment on you car. The other thing to do is ensure your items are firmly locked to your vehicle. So do your best to ditch bungee cords and instead work with chains or other devices which lock and can’t be cut. By indicating your survival items are secure you’re decreasing the likelihood of being targeted in a crisis situation. If you have survival items inside your car keep them covered too. 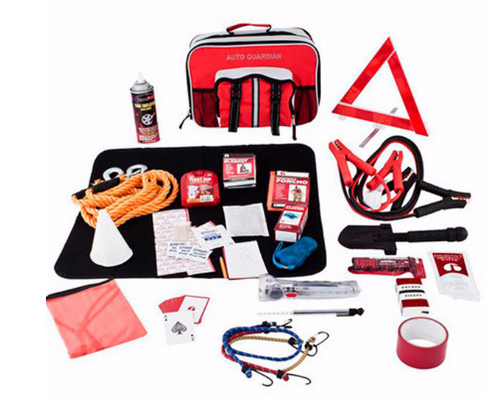 You don’t want people peering in your car and discovering inside is the motherload of survival tools. One other thing to keep in mind is it doesn’t just take a crisis situation to become a victim. There are other instances where you need to be prepared. And many of these are really serious in today’s political and social climate. Check out some of the most common situations below. Everyone knows what road rage is but not many people realize how serious of a problem it is. In my opinion road rage comes from the high levels of stress that can result from driving a car in and out of traffic as well as a failure to admit responsibility for one’s own actions…yes even I’m guilty sometimes. When road rage really becomes a problem though is when two people both experiencing road rage are involved in an altercation. That’s when tempers flare and disaster can result. So what can you do to prevent from becoming the victim of road rage? Well if you notice someone in another car is behaving erratically and appears to be flying off the handle then it means you need to do everything you can not to rise and meet their anger. As much as you might want to it’s just not a good idea. I suggest keeping your car windows rolled up, avoiding eye contact with the individual (as this invites confrontation) and staying in your car. Yes, this is true even if they’ve gotten out of their car and are screaming loudly and punching or kicking your car. The only time I suggest getting out of the car is if you can see the person in question is about to inflict bodily harm to you or another. Then you aren’t just justified in retaliating, it’s probably going to be the only option you’re left with. These same tips can be applied to another common car survival situation that I’ll cover in point 4 below. Carjacking is a serious crime that happens consistently across the nation. My first piece of advice is to recognize whether the area you live in is a hot spot for carjacking. Cities like Detroit, Philadelphia, L.A. among others are known for high carjacking rates. Keep in mind it’s not just cities you need to worry about, it can also be your location that exposes you to this horrible crime. Covered parking garages with low lighting as well as remote areas like rest stops and rural areas are also prime spots for carjacking. So keeping your head about you and paying attention to what’s going on while you’re either in your car or approaching your car is always a good idea. Another thing you’ll want to do is keep your car windows rolled up and doors locked, especially when you approach stoplights in sketchy neighborhoods. Auto-glass is made out of tempered glass which is quite tough. That means it’s going to take a lot of force to break the glass to get you out of the car. Same thing’s true of keeping your door locked. It’s going to be very hard to get you out of your car if both the window and doors are locked. Of course the obvious question here is what do you do if they’ve got a gun at your face? My first response would be to again, keep your situational awareness about you. If you can drive away then put the petal to the metal. Beyond that it’s going to be a personal call. While I’m not going to give you any specific advice on carrying a gun for situations like this I suggest you do some additional research about that kind of scenario. More than a handful of people have successfully defended themselves in situations like this using a gun. If you feel like that’s something you should do then please do your due diligence, get trained, and speak to a self-defense professional about it. The beauty of a car is it moves and it’ll move you fast. On the other hand if you’re ever caught in a full blown crisis all the major thoroughfares might be blocked which could keep you trapped unable to move anywhere. So what do you do for instances like this? My suggestion is to always have: A. pre-planned escape routes in place, and B. a well maintained car ready to evacuate with ease. With these things taken care of beforehand you can hopefully make a clean exit and get to somewhere safe. And of course if you’re ever stuck in traffic it’s going to help to have all the necessities you might need to wait it out. Which is why #6 is probably one of the most important tips in this entire blog post. Survival kits in your car are an absolute essential. My personal recommendation is to have a dedicated car survival kit, but if you’re trying to save money you can move one from home to car to office if you desire. What exactly might that include? At the end of the day you can’t underestimate the importance of a survival kit. Without one if you were ever caught in a crisis your car survival chances are significantly reduced. If you want to get everything all in one trip head over to our Survival Kits page. We have several kits that will fit your needs perfectly. To see everything click here or on the image below. 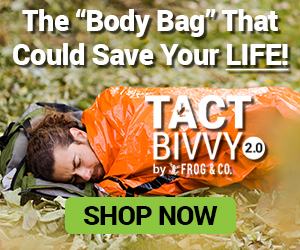 This entry was posted in Cold Weather Survival, Emergency Preparedness, Emergency Survival and tagged car survival, cars on September 29, 2015 by Survival Frog. Always good to have those on hand too! Always carry a warm sleeping bag, especially in winter snow areas.